These statistics are a real eye-opener for how the church values the leadership of singles (both male and female). Some churches won’t even hire men as pastors if they aren’t married. Aside from the fact that Jesus and Paul were single, I understand that churches have their reasons for these standards, so that is a discussion for another day. What I want to focus on today, however, is what this state of affairs indicates about the direction of women’s ministries in our country. First, let’s zoom out and consider the leadership of the church at-large. In particular, consider what the leadership team of a church communicates about the church’s heart. The theology, vision, and direction of a ministry staff say a lot about a church, but so do their race, gender, education, and background. For instance, a multi-ethnic church staff is likely to place a strong value on the diversity in the Body of Christ. A church in which few leaders have attended seminary but many of them have experience as leaders in the secular workplace might promote a business model of church leadership. I could go on, but suffice it to say that the face of your leadership says a lot about what you value as a church or ministry. With that principle in mind, consider the following statistic: According to a 2008 study conducted by Revive Our Hearts ministry of 900 women’s ministry directors, approximately 1% had attended seminary. Although only 15% of these women were actually paid employees, there is still a clear discrepancy between the number of women who are leading women’s ministries and the number of women with any sort of ministry education. In addition to the great absence of advanced educational degrees, the Revive Our Hearts survey found that the second most common characteristic of women’s directors is that they are married (90%) and the third most common characteristics is that they are moms (72%). These statistics are surprising given that women constitute one third of students in seminary, and the number of single women in the church is only a third less than the number of married women. Clearly the characteristics of the average women’s director is not representative of the diversity of women in the church. What these characteristics do represent are the priorities of women’s ministries. When it comes to leadership, the vast majority of women’s ministries value life experience (particularly marriage and motherhood) over Biblical proficiency and ministerial training. That is not to say that women without a seminary education are unqualified to lead–by no means! God’s ministry through the twelve disciples guards us against such academic arrogance. We need women of all backgrounds and experience (most certainly wives and mothers!) contributing to the growth of our churches. However, most churches expect their pastors to go to seminary, and they have good reasons for doing so. Why is our standard for women in leadership so incredibly different? Experience is indeed an important part of being a good leader. But experience does not a Biblical teacher make. I fear these statistics reflect a preference for teachers who tell funny anecdotes about diaper blow-outs or share the same frustrations in marriage and parenting, over women with a solid knowledge of Scripture and theology. If we begin with our common life experience and then turn to Scripture for advice, we are not teaching women how to read the Bible in a responsible way. We are not equipping women with the skills to study God’s Word and then teach it to others. When choosing leaders and teachers for your ministry, think carefully about how your choices reflect upon the direction of your group. Make sure these women are first and foremost students of God’s Word (seminary grads or not). They must be Biblical teachers who begin with God’s Word, and then look to experience. Your teachers may be young or old, single or married, but Scripture has the power to bridge the gaps that are often created by our wide array of life experiences. It is the Gospel, not our common life experience, that unites us. Does your ministry reflect this truth? I agree with your overall point. I do think, however, that some of the statistics could be misleading – are the percentages of women seeking full-time employment in the ministry the same as men? My guess would be that they are lower for several reason – some women might be getting a degree at the same time as their husband, and choose to follow where he is called; some might have kids during seminary and decide to stay home or pursue part-time employment at first; or some might be pursuing a degree simply because of interest and ability, and are looking only to serve in a lay ministry role in the church. For those women who are pursuing full-time ministry positions, I would guess that they are looking for a role as a pastor or associate pastor instead of women’s minister. My guess would be that women’s ministry is seen in a similar manner as youth ministry – a stop on the way to being a “real pastor”. Okay, last point here, but there are many women in my church who don’t necessarily have a degree, but have taken lots of seminary classes not for credit, including our pastor’s wife. And to be perfectly honest, in a women’s ministry setting, which seems different than a sermon, I’d rather hear from the 50 year old mother who’s taken a few classes here and there, but has also walked with Jesus through REALLY hard stuff and come out on the other side with a stronger faith and a bigger reliance on Jesus and a deeper understanding of Scripture, than the 25 year old who has led a pretty sheltered life but does have a masters of divinity degree. Maybe that’s my own bias, but I bet that plays into a lot of women’s ministry director roles across the country. Knowledge does not always equal wisdom. But all that to say, a couple points in the other direction, but I do agree with your main point. Hope Chicago is treating you well! Caroline, I think you raise a really great point! The situation you described is definitely ideal and it strikes a great balance! I do think it’s important to remember, however, that you live right next to a seminary, and you also live in one of the most highly educated (per capita) regions in the country. 🙂 I’m not sure the general population of women are able to take seminary classes and then use that education in the church. Just something to keep in mind. Also, I think you raise a good point about the myriad circumstances surrounding women who graduate from seminary. However, the statistics are DISMAL. Some of the percentages I’ve seen are in the single digits. It sis troubling to me that such a small percentage of women are able to use their degree in the workplace. Just food for thought. Give the girls a squeeze for me!!! Jenn and I were just talking about this the other day. It’s sad to hear that it’s not limited to our area, but is a pervasive issue. This post makes me wonder what the motivation of the average female seminarian is, and what happens to her post-graduation. Is it the case that she wants to serve in a ministry role and is consistently snubbed in favor of un-trained women? It’s never that simple…but it does seem like that’s the pattern. Chris, I think the situation varies from woman to woman, but I can speak from my own experience. When I graduated seminary, I couldn’t find ANY full time jobs in churches or ministries. In fact, I worked a part-time job in a ministry doing full-time hours, but they wouldn’t give me the full-time salary and eventually I was told it was because I was a woman. I’ve heard a lot of similar stories from other women who graduate with an M.Div and want to serve in an evangelical setting, but evangelical churches don’t hire women to do much other than lead children’s ministries or do administrative work. 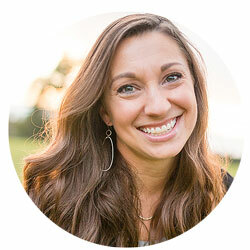 For women who don’t want to serve in the mainline tradition and possess gifts other than children’s ministry, we find ourselves stuck between a rock and a hard place. As far as women’s ministry goes, I have also felt hindered by my age and marital status. I have rarely been given opportunities to teach women who are older than I am, a dynamic that is strangely different from men. Most male pastors will inevitably lead/teach men (and women) who are older than they are and it’s not a problem. For some reason, however, young women (especially singles) are often looked over when it comes to considering who can teach or lead a women’s ministry, even if those women have a Masters degree. Too many of these women end up working at Starbucks instead of using their gifts and education for the Kingdom of God. I couldn’t agree more that the leadership of a church, including gender, says about the church’s heart. I guess I’m confused as to why it is any mystery that, when a church separates “women’s ministry” into its own genre and does not welcome women into the role of pastor, that the standard for women’s education follows suit – it is separate, seen as different than that of the pastor. Structurally, churches that separate out “pastors” from “women leaders”/”directors of women’s ministry mimic the fallacy that faith is either about theology or experience. Certainly, the incarnation of Jesus Christ complicates this view. The motivation of the average female seminarian is to faithfully serve the triune God through proclaiming the gospel and ministering to the needs of the body of Christ. The goal is pastoral. That’s about what I thought. It’s an unfair double standard and a reproach on our culture.